Local Natives illuminated Kalamazoo with their shimmering, vibrant indie rock during a powerful 80-minute closing set at Saturday’s Audiotree Music Festival. 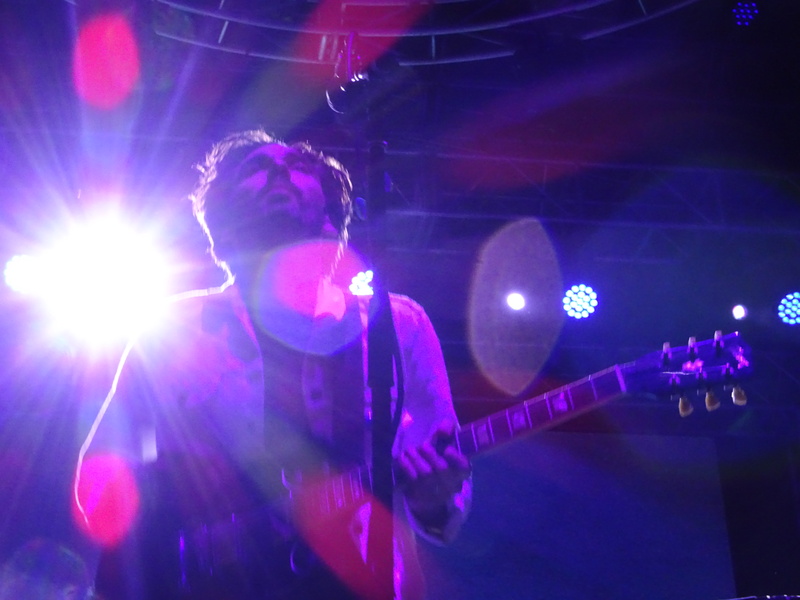 Local Natives’ Taylor Rice (vocals and guitar) energetically jumped into the crowd and surfed with excited festivalgoers during the band’s captivating “Sun Hands” encore. “This is the last song of the year for us, and the last song of the night for you guys, so give us everything you’ve got, all right,” Rice said. Bandmate Kelcey Ayer (vocals, keyboards, percussion and guitar) praised Audiotree for a memorable festival and briefed attendees on the group’s current plans. Local Natives also debuted a catchy new song, “When Am I Gonna Lose You,” with a Fleetwood Mac-inspired bassline as a promising preview of new material to come. Audiotree festivalgoers also caught an eclectic mix of emerging music throughout the day with thrilling sets from The Regrettes, Stuyedeyed, Basement, NE-HI, Maybe April, Michigander, Melkbelly, Miranda Winters, McKinley Dixon, V.V. Lightbody, Diet Cig, Flaural and Moss Jaw. It was an intense mixture of pop, punk, rock, country, folk and hip-hop rolled into one live gigantic playlist suitable for a bright early fall day. Festivalgoers quickly trekked back and forth between the Main and WIDR Discovery Stages to soak up every bit of the day’s music. Houston psychedelic funk trio Khruangbin surprised festivalgoers during groovy 60-minute set filled with sensual instrumental jams inspired by music from the Middle East. The band’s unique moniker, which means “flying engine” in Thai, thwarted attendees as they tried to guess the pronunciation of it. Despite their challenging name, Khruangbin’s Laura Lee (bass) swaggered to the mystical rhythms as the band dazzled the crowd and prepared them for Local Natives’ brilliant set. That swagger left a memorable impression on festivalgoers as they grooved the night away and anticipated the incredible music Audiotree has planted for day two.